Play the IGT In Bloom Slot Machine Online Here for FREE. In Bloom slot machine by IGT is one of the top rated nature-themed online slots. This 5 reel video slot game offers 40-fixed paylines and comes with a variety of exciting features, including mouth watering multipliers, free spins event, symbol burst feature, bonus bump feature etc. Note that the reel symbols as well as the backdrop features a variety of flowers, including Calla Lilies, Roses, Water Lilies, and Poppies. Have a free spin on this awesome IGT slot game below. Key Features of In Bloom – Free Version. Unusually, this video slot game doesn’t come with a wild symbol, but there’s a scatter symbol, that’s represented by the Butterfly. The symbol only shows up on the third reel. This feature lets you line up to fifteen of a kind of symbols in a spin, then after the spin, a particular symbol in your winning combination may transform into 1 or more similar symbols. Note that this great feature becomes active for the Flower symbols only. If you are lucky to land 2 or 3-Butterflies on the reels- in any position, the Garden Free Spins Bonus will be triggered automatically. You’ll need to select your Flower Garden in order to get to know the total number of Free Spins that you’ve been awarded. 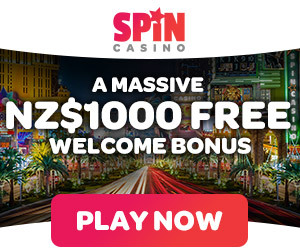 A Poppy Garden wins you 5-free spins a Rose Garden awards you 8-free spins, a Calla Lily Garden earns you 10-free spins & a Water Lily Garden gets you 12-free spins. Note: Flowers are valued differently and more valuable flowers have fewer free spins & vice versa. Also, when playing the Free Spins Bonus event, it’s only the symbols of a selected garden that appear on the reels. As soon as the free spins ends, another feature- the Bonus Bump, is activated. This bonus round gives you a chance to pick an item for your multiplier to be revealed. Note the multiplier can be between 1X and 50X your total stake. In Bloom Video Slot is programmed with nice graphics and dramatic & realistic sound. The beautiful and bright flowers look amazing on the reels, with true colors. Overall, the game is fun to play. When it comes to payout, In Bloom rewards. The total bet/ wager ranges from 50 coins to 2,500 coins, and your line wins are always multiplied by your coin value, meaning that you can get up to 50,000 coins in a single spin. Whats special about In Bloom Online Video Slot is that it’s available for play on almost all iPad devices. In fact it’s considered to on of the most entertaining iPad slot games ever developed for players at the Double Down casino. Google + Profile: Tina Lim on January 26, 2018. on February 4, 2018.